On the 10th and 11th of April Blastrac France organized the event of the year about surface preparation, city planning, decontamination, non corrosion and much more. 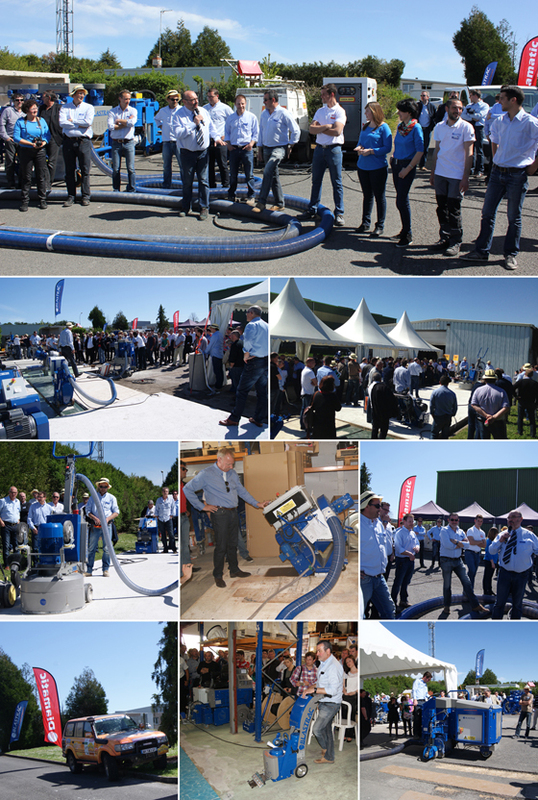 More than 300 guests participated to this open day in our facility in Chasseneuil du Poitou. This event was very successful due to a remarkable organization and a large number of visitors. As a result, customers were able to get information about our new products, our techniques and the current market opportunities. Also, our team of experts were able to answer all their questions on a personal level. We would like to thank everyone who participated in these open days. We look forward to seeing you in 2 years in April 2016 for Blastrac France’s 25 years!